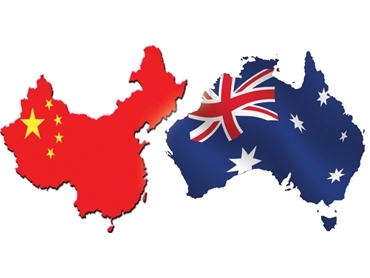 Funding is now available to Australian farm businesses and organisations to undertake projects and trade missions to boost the agricultural trading relationship between Australia and China. Minister for Agriculture and Water Resources, Barnaby Joyce, said the Coalition Government was making $384,000 available under Australia-China Agriculture Cooperation Agreement (ACACA) over the next two years to enhance agricultural cooperation from China. "We've got an enormously important trading relationship with China, particularly in the agriculture space where our two-way trade was worth $12 billion in 2014-15," Minister Joyce said. "We have a strong history of working together on agricultural trade issues and we're always looking to do more. ACACA is all about building on that trade, exchanging skills and information and promoting solid cooperation between our two nations. "This year's programme will provide two streams of funding, covering projects and trade missions in priority areas including science and technology cooperation, sustainable agricultural technology, food safety, animal husbandry and exploration of niche markets. "The programme will support activities including technical exchanges, staff secondments, working groups, training programmes, research and development and information exchanges. "It's open to Australian individuals, farm businesses, industry groups, rural and regional associations, education, research and academic institutions as well as federal, state and local government organisations, and I encourage any interested groups or organisations to apply"
Minister Joyce said the ACACA programme had laid a strong foundation which should be used strategically to develop new opportunities presented by the China-Australia Free Trade Agreement (ChAFTA).